Ján Figeľ, a former Commissioner and Slovak politician, became the EU’s inaugural such envoy a year ago, in an announcement at a special ceremony at the Vatican with Jean-Claude Juncker and Pope Francis. However, with his initial 12-month mandate about to expire, there was some concern the post may not have been retained. It comes against a backdrop of both extremist Islamist terror attacks within the EU, and ongoing religious strife across the Middle East and other parts of the world. At least 44 people were killed in Egypt in bomb attacks at the cathedral of the Coptic Pope and another church on Palm Sunday (9 April), prompting anger and fear among Christians and leading to troop deployments and the declaration of a three-month state of emergency. 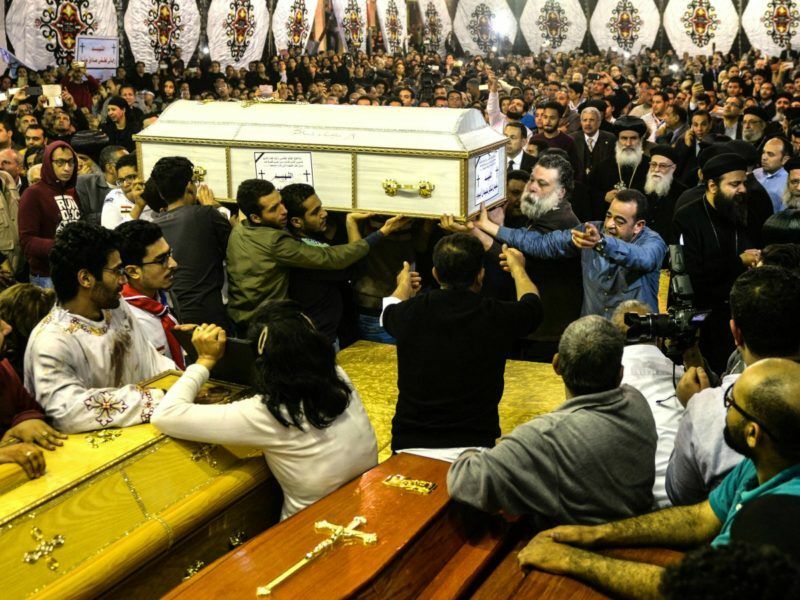 At the weekend, some 44 Coptic Christians were killed in a bombing of churches in Egypt on Palm Sunday, claimed by ISIS, and injuring a further 120 people. Since his appointment, Figel has visited Sudan, Iraq, India, Jordan and the United Arab Emirates, among other countries. He will shortly depart for Egypt. 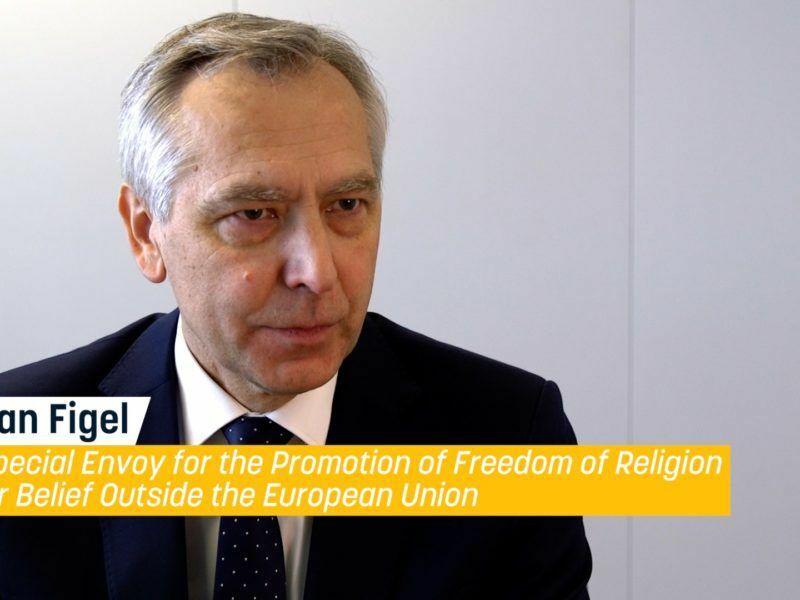 Figel told euractiv.com “Prolongation of mandate is confirmation of the Commission’s long-term commitment to the essential EU value represented by freedom of religion and belief. There has been concern in some diplomatic circles that the Special Envoy role, devoid of much backroom staff and based in the Berlaymont, rather than in the External Action Service, was too reliant on ‘soft power’ and Figeľ’s own charisma. A Catholic brought up under the communist regime in then Czechoslovakia, in a recent interview with euractiv.com, Figeľ expressed “mixed feelings” over the recent decision by the European Court of Justice that allowed employers to ban their workers from wearing religious or political symbols at work. Figeľ worried that it sent out the wrong message at a time when the EU is trying to promote religious freedom and tolerance. News of his reappointment came as a Christian midwife lost her battle to able to refuse to assist in abortions, due to her religious beliefs, in Sweden. Ellinor Grimmark had been refused a job in three regional clinics due to her position. In November 2015 she lost a case at Jonkoping district court saying her right to freedom of conscience had been violated. Today (12 April), Grimmark lost an appeal against that ruling at the Swedish Labour Court of Appeal. Robert Clarke, the director of European Advocacy for ADF International, said: “The desire to protect life is what leads many midwives and nurses to enter the medical profession in the first place. Instead of forcing desperately needed midwives out of a profession, states should look to safeguard the moral convictions of their staff. “The Parliamentary Assembly of the Council of Europe has affirmed that ‘no person, hospital or institution shall be coerced, held liable or discriminated against in any manner because of a refusal to perform, accommodate, assist or submit to an abortion,” he added. Although ostensibly concerned with religious freedom outside the 28-member bloc, Figeľ has to contend with the increasing ostracisation of Muslims within the EU, whilst looking after the rights of Christians in the Middle East, Tamils in Sri Lanka, and Buddhists in Myanmar, among many religiously-motivated oppressions. Turkey, a neighbour of the EU and potential member, has seen a huge crackdown on the rival Islamic Gülen movement, as well as on the media, civil society and the universities. Figeľ officially works under the Commissioner for Development, Neven Mimica, in DG Devco. During the Barroso Commission, Figeľ served as a Commissioner for Youth, Education and Training, having also led Slovakia’s accession process in 2004.